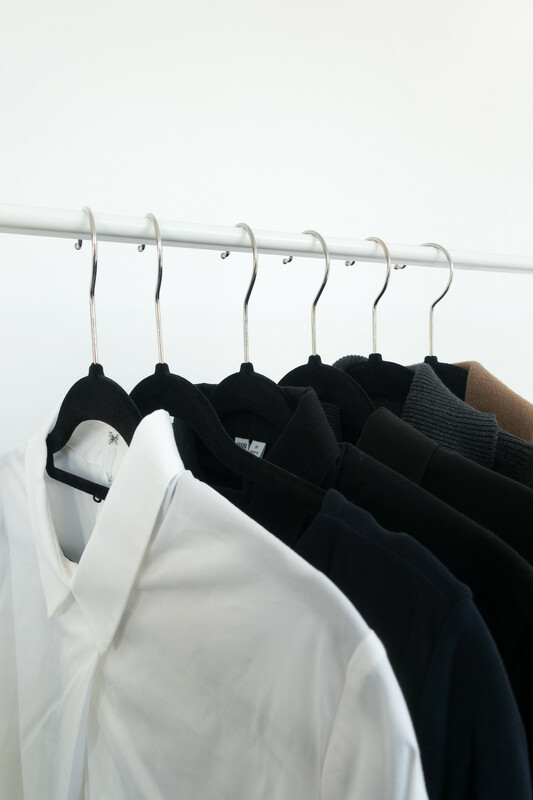 Streamlining your wardrobe is easy when you focus on the pieces you hate, the clothing that gets overlooked are near-perfect or practical (yet unwanted) items that keep their place in your wardrobe almost by default because they are so easy to miss. These rogue items remain on the rails because they aren't easily spotted yet are taking up space and cluttering up your style. The following are six types of clothing you might have overlooked and should get rid of right now. Having multiples of basics like t-shirts and lingerie is fine, and doubling up on your favourite sweater so you have a couple of colour ways is understandable, but be careful of stocking your wardrobe with identical pieces. Once we find a style we enjoy wearing we have a tendency to gravitate to the same pieces when considering new purchases; do you really need identical versions of everything? The likelihood is you’ll have a preference for one over the other. Even though they are virtually identical one will inevitably fit better or suit your style more. I know what you’re thinking, “I keep them both so when one wears out I can wear the other” - what’s more likely to happen is you’ll out grow the style before either one wears out, and neither will be worn as much as it should be. You loved it and so you bought it, and now it sits hanging in your wardrobe unworn and unloved. We’ve all experienced buyer’s remorse and, for whatever reason, failed to take that piece back to the shop for a refund. We live with these pieces in our wardrobe for months without removing the tags; perhaps we try it on once or twice only to place it back on the hanger… These items cost us money and that’s hard to get over especially when we know the resale value is virtually nothing, and we resent the idea of stuffing it into a donation bag. The money has been spent and you're not going to wear those clothes, get rid of them right now and stop feeling guilty every time you open your wardrobe. Tatty, ill-fitting house clothes encourage you to slob around and feel gross, or worse still, make you feel guilty or ashamed about wearing them. Loungewear doesn't have to be frumpy, ugly, or look like they are one step away from being thrown in the bin. Invest in loungewear that fits your style and makes you feel comfortable enough you wouldn’t be ashamed to be caught wearing it in public. This isn’t about what other people think of you for wearing them, this is about feeling great in all of your clothes - regardless of purpose. House clothes don’t have to be any less exciting to wear than your daily wardrobe. Ditch that giant t-shirt with holes in and faded sweatpants, replace them with something that makes you feel excited to put on. Items we used to love dearly and wear all the time are difficult to part with, they still look pretty on the hanger and we remember all those memories of when we worn them. As we grow so does our style and these past loves are no longer relevant or practical. Strong emotional attachments can be made with our clothes, removing them from our lives doesn’t destroy the memories. If you’re a sentimental soul, perhaps storing one or two key pieces would be a less emotional way of dealing with getting rid of them altogether; if you can face it, I’d recommend removing them from your wardrobe forever and treasuring the memories instead. Ill-fitting clothing has no place in our wardrobe, they make us feel awful about ourselves and our bodies. Ultimately, if something doesn’t fit we’re not going to wear it yet I’m certain all of us have (or have had) ill-fitting pieces in our wardrobes we’re reluctant to get rid of despite never wearing. Perhaps you’re holding onto clothes because if you gain or lose a few pounds they might fit; or if you wear it with one specific top in your wardrobe you can pull an outfit together; or maybe, if you get a tailor to work their magic, this piece will fit perfectly. Quick fixes like replacing buttons and taking up the hemline might rescue a few of these ill-fitting pieces but be honest with yourself, can you be bothered to take something to a tailor? Do you ever wear an item that requires numerous considerations to make it work or do you reach for another piece instead? Don't let ill-fitting clothes determine how you feel about your body, find the perfect fit and forget about those that aren't. Fillers are the pieces that prevent your wardrobe from feeling cohesive. Fillers are items you don’t love but don’t particularly hate either so you keep them just in case. They are nice enough but not perfect and you know there is something else in your wardrobe you like more. You might not want to immediately ditch them in the donation bin just yet, instead you should compile a list of wardrobe upgrades so you know which pieces to focus on replacing first. Filler items tend to get lost in your wardrobe because there is always something you enjoy wearing more; they get pushed to the back and forgotten about because, let’s face it, you simply don’t like them enough to wear them but you keep them regardless.